That’s right, you read correctly. 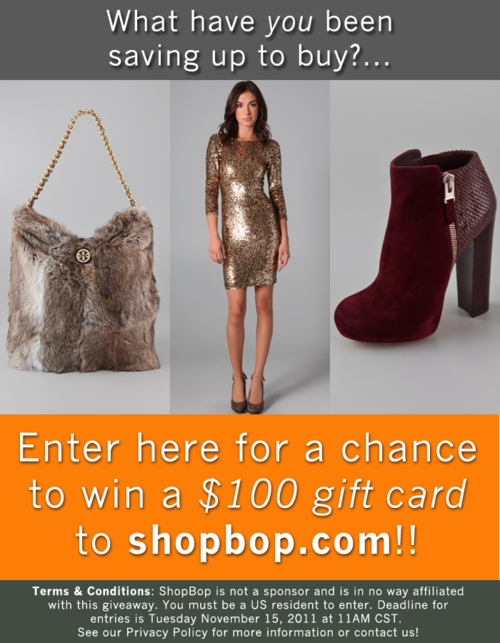 I’m giving away a $100 gift card to ShopBop! Entering is easy, just follow the simple instructions below! Deadline for entries is next Tuesday at 11am CST, so don’t miss out! 2. Comment on this blog post saying what you’ve been saving up to buy on ShopBop with your email (to contact the winner)!